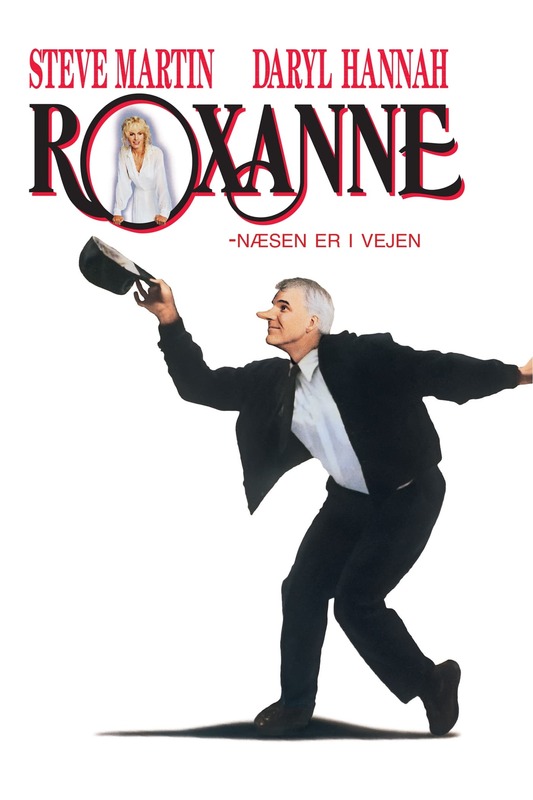 Roxanne wiki, synopsis, reviews - Movies Rankings! 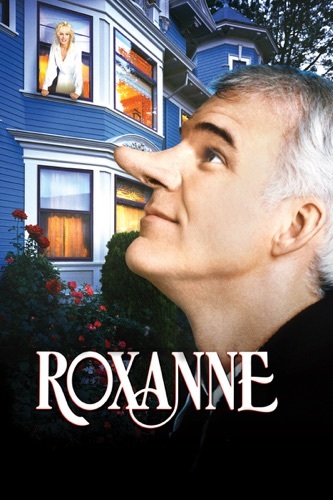 Comic genius Steve Martin delivers an incredible performance as an engaging small town fire chief who has only one tiny flaw - no, make that one HUGE flaw - his astonishingly long nose. Although he considers it no laughing matter, the hilarity never stops as C.D. Bales (Martin) contends with jerky nose jokes, a bumbling crew of firemen, and his secret love for gorgeous astronomy student Roxanne (Daryl Hannah). Unfortunately, she is attracted to fireman Chris (Rick Rossovich), who's tall on looks and short on conversation. And when C.D. agrees to coach the dumbstruck Chris in his pursuit of the fair maiden, this ticklish triangle dissolves into a hilarious series of rib-tickling romantic misadventures. 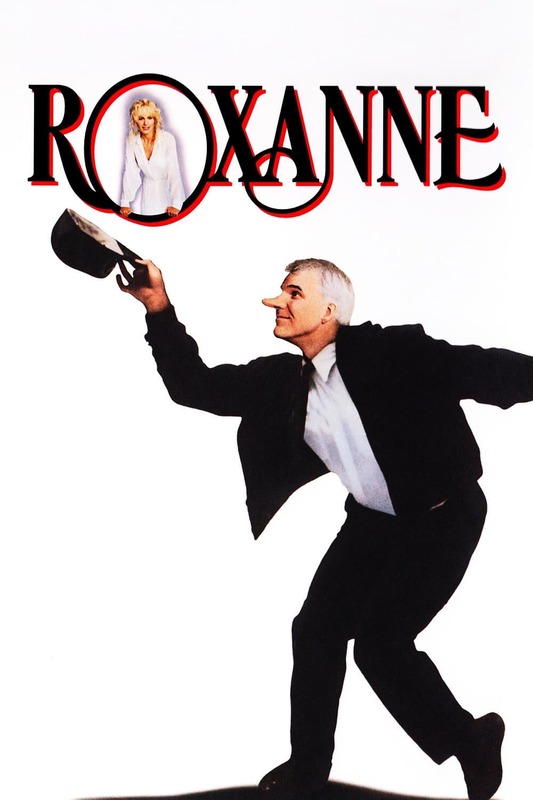 A contemporary love story of mistaken identity and unrequited love, "Roxanne" is an unforgettable comedy that Siskel & Ebert call a comic masterpiece. This movie reminds me alot of Rodney Dangerfield from Caddyshack. Especially the bar room scene with Steve Martin. That was hilarious. This was an awesome movie. You would love it!!! I watched it with my family and everyone was laughing at it and having a great time. I really enjoyed it and I'm only a kid. It is probably appropriate for 10 years old and up. The movie is funny , pretty romantic and fun for you and your family. You will enjoy it! ! ! Martin's work has always been inconsistent (IMO), and this is no exception. It has some great comedic moments, but as many awkward places. 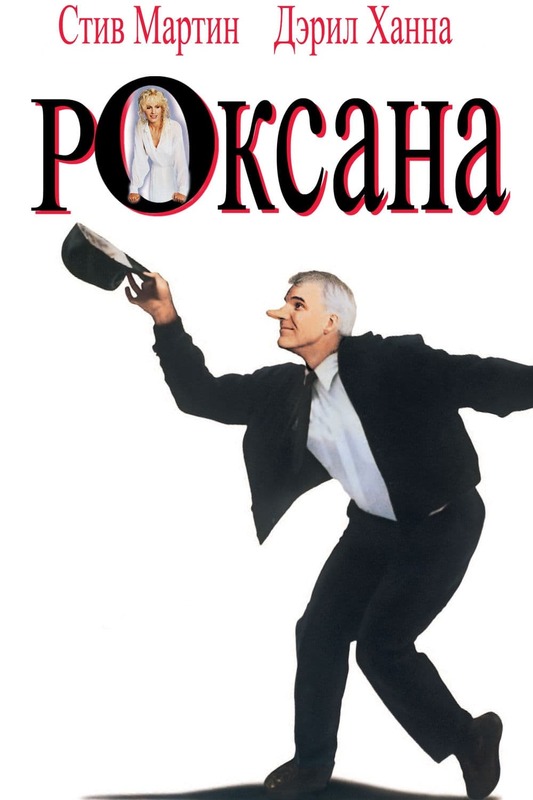 This rather loose adaptation of the story of the French soldier and playwright Cyrano de Bergerac bears more resemblance to the equally loose Rostand version of his life (which it seems to be attempting to copy) than to the reality. The action is set (inexplicably) in the town of Nelson, B.C., Canada, which in addition to being mostly up and down, has some lovely woods and mountains as a backdrop. In this version, Martin is a fire chief rather than a poet and soldier, and the massive and unrealistic hooter he sports makes him look more like Pinocchio than the real Cyrano, who although he seems to have had a large nose, was not quite the strange It opens with a fairly pointless encounter with two drunken ski bums (even though it is obviously not ski season) who "duel" with Martin with their ski poles, which he deftly deflects with his tennis racket. The place of the bold and valiant Gascon musketeer Cadet corps is filled by an inept local volunteer fire brigade, and the fatal poetic duel with Viscount Valvert is taken by a pointless "nose joke" exchange with a drunken thug, whom Martin first defeats verbally, then fells (though not fatally). Darryl Hannah makes an attractive, but rather unconvincing astronomy student whose goal is to discover and name a comet "Kowalski" (her surname in the story). This otherwise inexplicable addition to the story line may have been inspired by the actual Cyrano's own interest in the heavens--he wrote a story (sometimes billed as "the first science fiction story") about a trip to the moon, and to the fact that an asteroid (93582 Cyrano) is named for him. 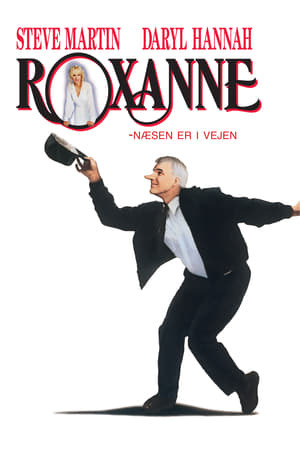 As in the Rostand version, Martin vainly loves Roxanne from afar, and when he finds she is smitten with Chris, the new professional fireman who has been hired in to train the incompetent locals, he befriends Chris and speeds his inept wooing by writing letters to her for him and coaching him in the balcony scene. However, the tragic ending of the Rostand play is traded for one in which Chris runs off with a bar-girl, instead of dying bravely, with Cyrano's attempt to keep alive his friend's memory in Roxane until his own death being substituted for a rather banal happy ending in which Roxanne declares her love for Martin despite his enormous nose. (This at least follows the Rostand version somewhat, as Roxane had stated that she would love the author of the letters even were he ugly.) All in all, though some parts of the comedy are quite amusing, it was up and down. I have seen it twice in 10 years or so, and that is plenty. Still, not a bad romp for those who may not have seen it yet, or who may have less familiarity with either the Rostand version and its spin-offs or the historic Cyrano. THough a rather enjoyable movie, there was one very large issue with it. It is a complete rip off of the movie Cyrano de Bergerac! the characters even have similar names! No one likes a copy cat. Very moving, but funny, too! I had high hopes for this movie considering the other glowing reviews, but it was disappointing. 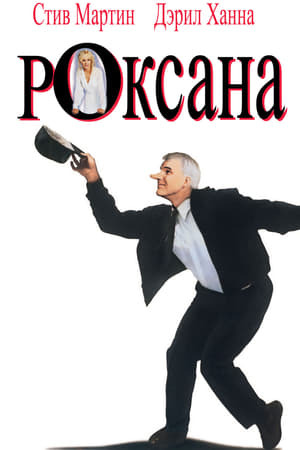 The screenplay was not well thought out and it moves quite slowly, supported by poor comedic attempts by Steve Martin, who is normally brilliant. Too bad. It was a good idea anyway.